Courtesy of Allison James Estates & Homes, Mary E Hood. TOTALLY FABULOUS luxury Spanish Trail lifestyle — Serenity to the max! This is a true beauty surrounded by the magical sound flowing man-made stream surrounded by lush landscaping. EXTREME PRIDE OF OWNERSHIP. Master downstairs overlooking the Springs water! Exceptional Interior upgrades! Country Club offers: golf, Fitness Center, fine dining, ETC. 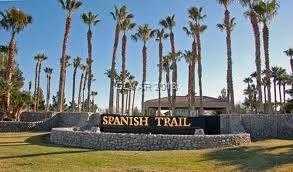 Once you see Spanish Trail you will know nothing in LV compares to the style + prestige.